A splendid and enticing complex nose of honeyed pear and apple, pineapple, grapefruit, kiwi, cocoa, apricots, toasted minerals, very full and buttery on the palate with great concentrated and rich texture of fleshy pineapple, peach fruits, minerals and toastiness, perfectly assembled with balanced acidity and magnificent lingering finish. 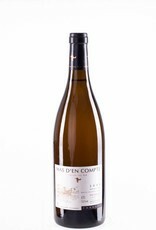 Grapes: 60% garnatxa Blanca | 20% Picapoll blanc – 20% Xarel.lo. Description: Traditional hand harvested from the last week of September and October. The average production of 1.5 kg per vine, Macerated for 1 day with the skin. Fermentation temperature 15 degrees. Aged in oak for 5 months, using oak 1-2 years. Used, 20% Hungary oak and 80% French oak.